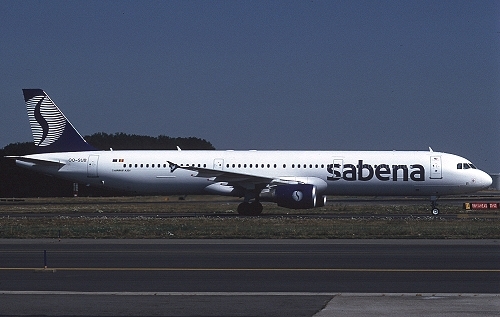 Description: Sabena second Airbus A321 was delivered on April 1 1999 and became operational three days later. It remained active for the carrier till October 24 2001, which folded on November 7 2001. 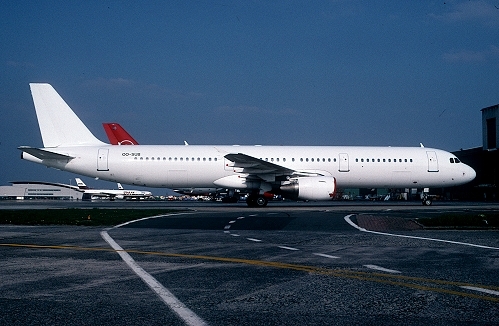 Description: it remained stored at BRU for almost four years, was painted all white during February 2004 and was cancelled to Tunesia as "TS-IQB" on March 17 2005.